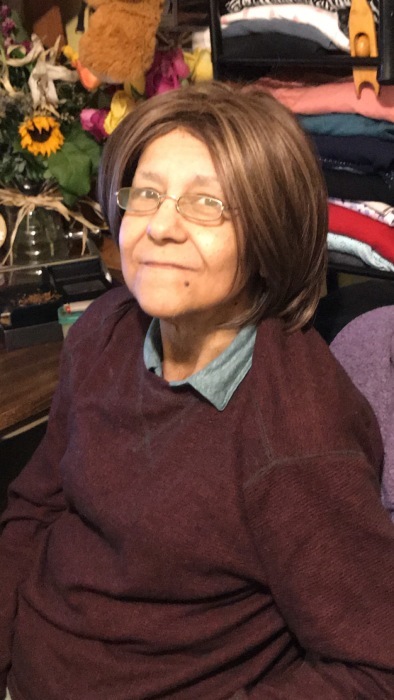 Maria Carmen Collins Mills, 58, of Waxhaw-Indian Trail Rd, Indian Trail, passed away at her residence April 12, 2019 with her son and daughter by her side. She was born November 13, 1960 to Antonio Ortiz and Pearl Collins in Cape May, NJ. She was originally a wardrobe manager for a amusement park, located in Wildwood, New Jersey before moving down to North Carolina back in 2003. She was preceded in death by her parents. Left to cherish her memory are her daughter, Elissa O'Quin; sons, Sean O'Quin and Benjamin O'Quin; step-daughter Shan Mills; stepson William Mills; and sister Elena Becica.